One of the self-directed science activities we had in our Children's Room this summer was raising butterflies. I was a little nervous about it since I'd never done it before, but it turns out it was WAY EASIER than I thought it might be and it was so much fun for the kids. It's definitely worth it! On recommendation from Storytime Katie, I ordered the Giant Butterfly Garden from Insect Lore. They are certainly not the only company to offer mail-order caterpillars, but our experience with them was very positive and I would order from them again. I ordered the Giant Butterfly Garden, which comes with 10 caterpillars, because I was afraid that all the caterpillars might not survive or emerge as butterflies. I do not have a great track record with plants. It turns out they are easy to keep alive! The caterpillars arrive in plastic cups, five to a cup, with all the food they'll need already in there. The food is brown gunk at the bottom of the cup that I'm assuming is some kind of plant mash. When they arrived and we took them out of their packaging, they were very still and we thought a few of them were dead, but after a few hours they had all started moving around. They were all very much alive! We put the cups on a table along with the plastic butterfly life cycle models that came with the kit and a couple of magnifying glasses. 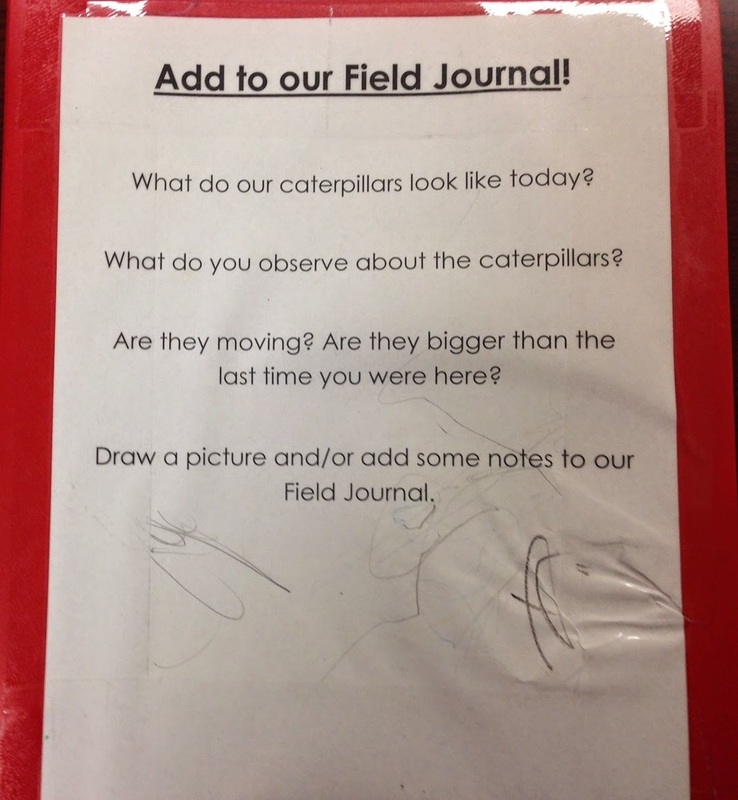 We also put out a "field journal" and encouraged kids to draw a picture or write down what the butterflies are doing. The kids LOVED being able to pick up the cups and look closely at the caterpillars. I was afraid that they were being handled too roughly, but they are hardy little guys! The kids could see them crawling around and eating their food (one 5-year-old exclaimed with delight "They are MUNCHING and MUNCHING!"). When they are ready to make their cocoons, they will travel to the top of the cup and hang there. When they started to do this, we put the cups inside an empty fish tank on our desk so that the kids could no longer handle the cups. The caterpillars shouldn't be handled at this time. Once they're all in the cocoons, we carefully moved them to the butterfly habitat (following the instructions provided). We kept the butterfly habitat in the fish tank (it stuck out the top) to discourage touching. 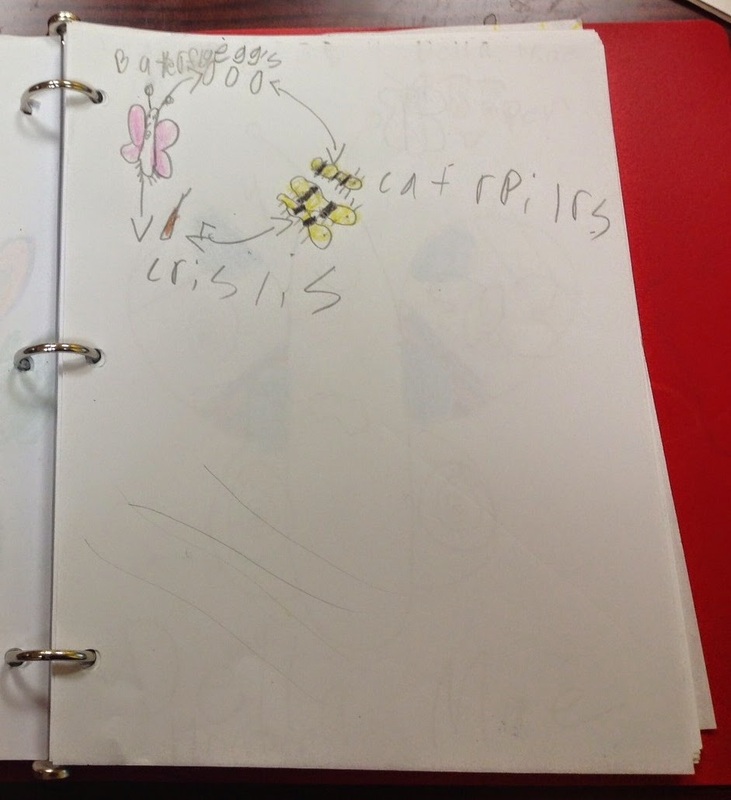 We wanted the habitat to be close enough that kids could see, but we also wanted to keep our butterflies safe! When the caterpillars are making their cocoons, they will shake violently from side to side. This is okay! After they're in the cocoons, they will shake violently if they are scared. This is to scare off predators. It's also okay! Some of our chrysalises shook for several hours, but they were okay in the end. When they emerge, a red liquid drips out. This is meconium and it's leftover liquid from the metamorphosis. It kind of looks like blood, but it's not blood, and it doesn't hurt the butterflies! Our butterflies were in their cocoons about a week before they emerged. It was almost exactly 2 weeks from when we received the caterpillars to when they emerged as butterflies. We kept the butterflies in the habitat for four more days (they emerged on a Monday and we released them on a Friday). And guess what? They mated! About three days after they emerge, your butterflies will mate. They stand with their ends touching. The female will wait to lay eggs until she's found a suitable spot (i.e. a plant her babies can munch on), so you don't have to worry about having butterfly eggs everywhere. But it's just something to know since you may have little ones asking questions! If that makes you uncomfortable, it's best to release them a little earlier than we did. While the butterflies were in the habitat, waiting to be released, I put tissues soaked in sugar water in the habitat for them to sip (as per the instructions). Since I wasn't sure what the timeline would be, we had a rather impromptu release event. 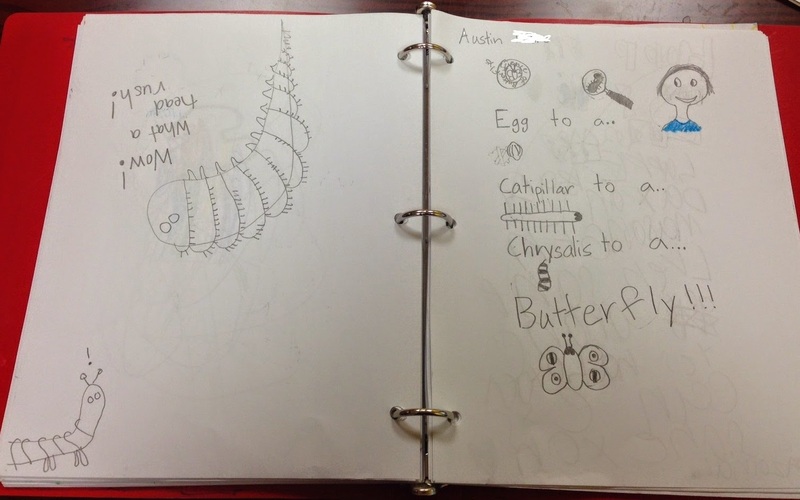 We read The Very Hungry Caterpillar and released the butterflies near some trees on our property. We advertised the event during the week when we knew it would be happening that Friday, and we took some photos to keep at the desk for anyone wondering where the butterflies had gone. After we released the butterflies, I cleaned out their habitat. The red meconium came out when I scrubbed at it with a wet towel. Now that we've gone through the process (and I didn't kill anything! ), I think this is something we will do every year. It was really easy, pretty inexpensive (and now that we have the habitat, our only cost will be ordering additional caterpillars), and it was really interesting to the kids and parents. I have a better idea about the timeline, so we can plan a bigger release event (although keeping it small and simple was fine, too!). Have you raised butterflies? What tips do you have?